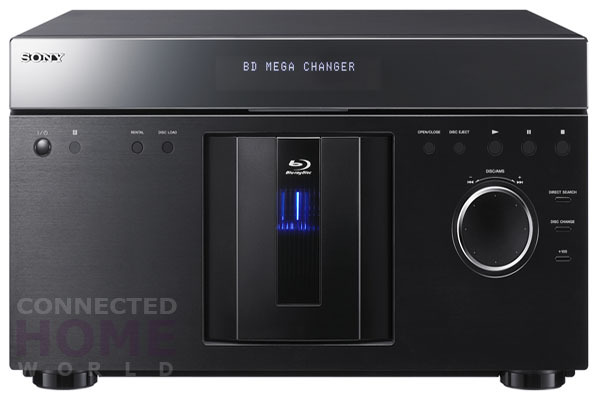 Sony on Thursday announced the release of its new BDP-CX960 and the “Elevated Standard” (ES) BDP-CX7000ES 400-disc Blu-ray Disc™ MegaChangers. Sony also announced the BDP-S1000ES single disc ES player expanding the Sony’s Blu-ray Disc line to 13 models offering a broad set of performance and features. The Blu-ray Disc MegaChanger models store and play up to 400 Blu-ray Discs, DVDs, and CDs, allowing consumers to relocate their disc library to a convenient, easy-to-access location. Olive has also annouced the availability of its Opus No. 4 that can store up to 6,000 CDs. They also feature the ability to download information from Gracenote’s MusicID® and VideoID™ products to organize movies and music. When a disc is inserted into the device, Gracenote technology automatically downloads information across an existing Internet broadband service and saves title, director, some cast information, release year, and genre information for most titles, allowing users to easily navigate the library intuitively through the player’s xross media bar™ menu system. Leading the MegaChanger line up is the BDP-CX7000ES which outputs full HD 1080/60p and 24p True Cinema™. Designed to integrate with third-party automation control systems, the model features an RS232 connection and IR-in and is built to high-quality ES standards. It offers exceptional audio quality with 7.1 channel analog output and superior video incorporating Sony’s HD Reality Enhancer and Super Bit Mapping technologies. The HD Reality Enhancer technology continually analyzes the original source bit by bit, sharpening edges and reproducing detail, while reducing the effects of film grain. Super Bit Mapping delivers smoother color gradation realizing true 14-bit equivalent color tone from 8-bit sources. The model also upscales standard definition DVDs to 1080p through Sony’s Precision Cinema HD Upscale technology when connected to a 1080p display via HDMI. Precision Cinema HD Upscale uses advanced conversion and processing to detect image changes at the pixel level, rather than the level of whole scan lines. Additionally, separate algorithms are used to process the moving and still parts of an image, resulting in sharp backgrounds with moving objects that are free from motion artifacts. Complementing the BDP-CX7000ES, is the new BDP-CX960. This 400-disc MegaChanger also delivers full HD 1080/60p and 24p True Cinema output and Precision Cinema HD Upscale technology. Both the BDP-CX7000ES and BDP-CX960 feature an Ethernet port for connectivity to a local home broadband network to download metadata from Gracenote, software updates and to access BD-Live™ content. There is also an external port for local storage so users can add their USB flash storage device to support BD-Live content. The models support 7.1 channel Dolby® TrueHD and Dolby® Digital Plus, DTS®-HD High Resolution Audio, and DTS-HD Master Audio decoding as well as bit-stream output via HDMI. It is compatible with an array of video formats, including BD-ROM/R/RE (BDMV and BDAV modes), DVD-+ Video/R/RW, CD/R/RW, and MP3/JPEG on BD/DVD/CD recordable media and supports x.v.Color™ (xvYCC) technology. The BDP-CX7000ES also supports Deep Color via HDMI (v1.3). The single-disc BDP-S1000ES Blu-ray Disc player bolsters the ES line adding built-in Wi-Fi® (802.11N/G/B/A) capability for easy BD-Live access. The model offers full HD 1080/60p and 24p True Cinema™ and upscales standard definition DVDs to 1080p through Sony’s Precision Cinema HD Upscale technology. The model can easily connect to the Internet through an existing wireless home network to download and stream BD-Live content from select titles including additional scenes, short subjects, trailers, interactive games, and more. It also enables easy firmware updates to assist in keeping your player up-to-date with the latest Blu-ray Disc media and features. While compatible with most wireless routers, the BDP-S1000ES also supports Wi-Fi Protected Setup™, for a quick and easy connection to enabled wireless routers. Additionally, the player is Digital Living Network Alliance (DLNA) ready, allowing it to connect to other DLNA compliant devices to watch digital photos on your TV. The model also incorporates Sony’s HD Reality Enhancer, Super Bit Mapping, and Precision Drive HD technology. It supports Deep Color video output and x.v.Color technology. The player is compatible with an array of video formats, including BD-ROM/R/RE (BDMV and BDAV modes), DVD-+ Video/R/RW, CD/R/RW, and MP3/JPEG on BD/DVD/CD recordable media. The model also is compatible with advanced audio codecs including 7.1 channel Dolby TrueHD, Dolby Digital Plus, DTS -HD Master Audio, and DTS-HD High Resolution Audio decoding and bit-stream output, as well as analog 7.1 channel output. 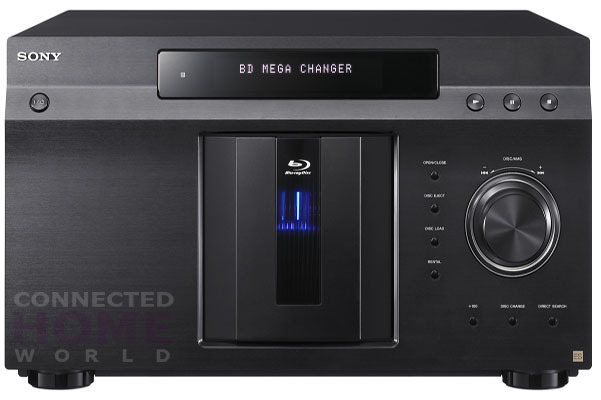 The BDP-S1000ES is available this August for about $700 at www.sonystyle.com.